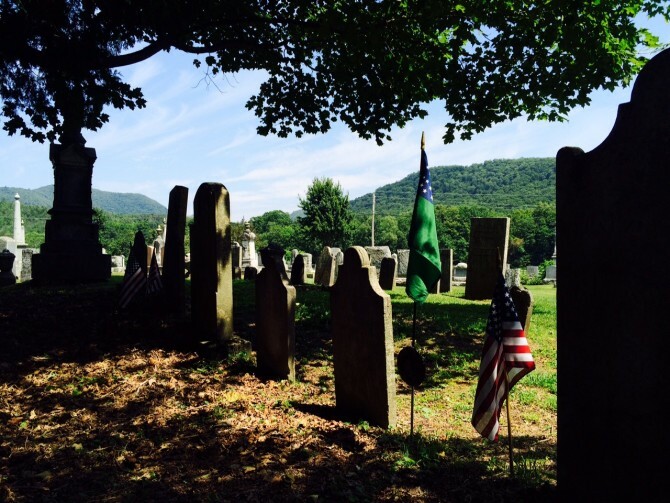 A great discovery in Huntington, VT. Charles and son Eliphalet Brewster, both Green Mountain Boys, are buried in Maplewood Cemetery. Charles was an early settler of Tinmouth, VT and also a delegate to the Constitutional Convention at Windsor, VT in July 1777. 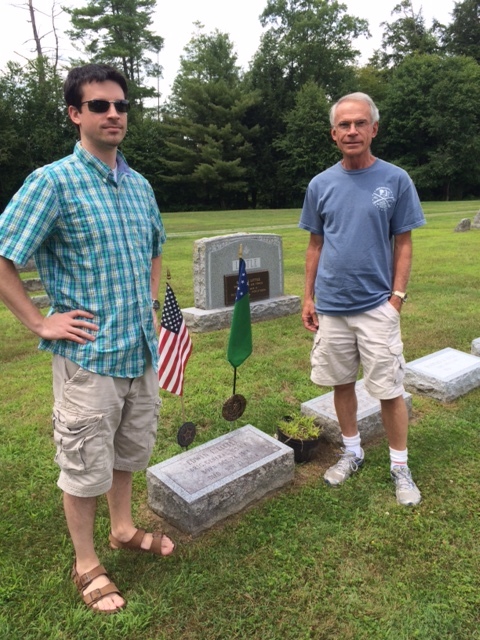 Two descendants of Remember Baker, Brad and son Jason Little, have placed a flag by Edwin Loren Little. “Sonny” would be very pleased to know Brad found a Green Mountain Boy ancestor! 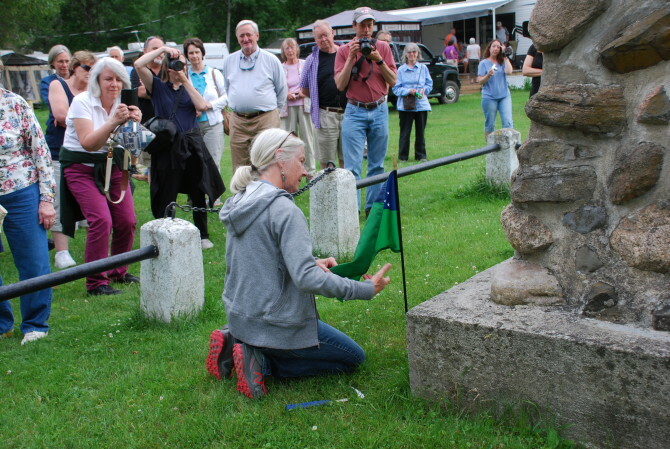 In June we placed a Green Mountain Boy flag at the memorial to Remember Baker on the Richelieu River, Noyon, Quebec.